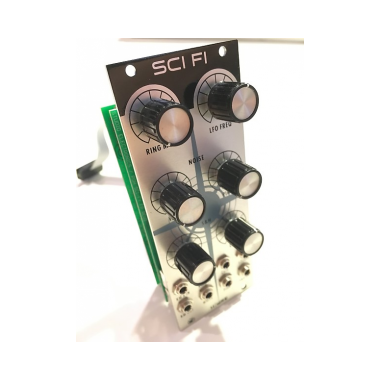 SCI FI is an ingeniously vintage-circuit-inspired Richard Nicol/Pittsburgh Modular original—jump cut to matttechmodular to see just how mouch fun can be wrung out of it! 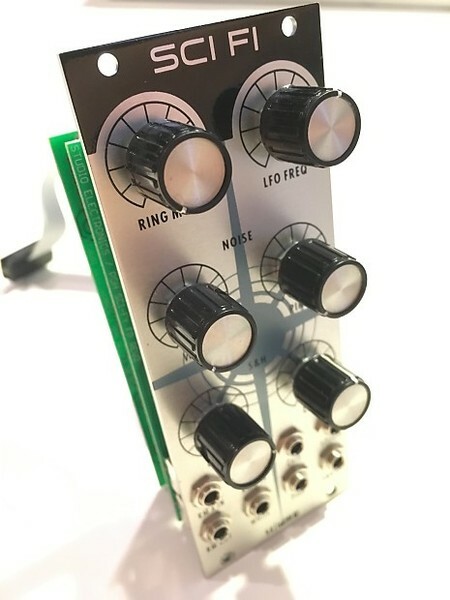 As the reader might already know, ring modulation is a signal-processing electronic function: an implementation of amplitude modulation or frequency mixing, performed by multiplying two signals. This beloved other-worldly, warm, and at times clangorous coloring dates at least as far back to Bode's Melochord of 1947 technology, which was ultimately licensed to Robert Moog in the early 1960s. Of course analog maestros Don Buchla, and Lord Tom Oberheim made their indelible marks, with circuitry culminating—to our ears—in the brilliantly rhythmic, and wildly expressive Yamaha CS-80 Ringmod's sonic alchemy and "Electone" informed controls. Back at the Modstar Ranch: The SCI FI's outputted ring-modulated signal is the sum and difference of the frequencies present in each waveform—a signal rich in partials—often producing a haunting, bell-like, metallic, and sometimes softly grinding, understated modulation awash in harmonic and non-harmonic tones. S.E. brought its own brand of dynamic ModMax Pedal-flavored Ringmod to the world in 2002. 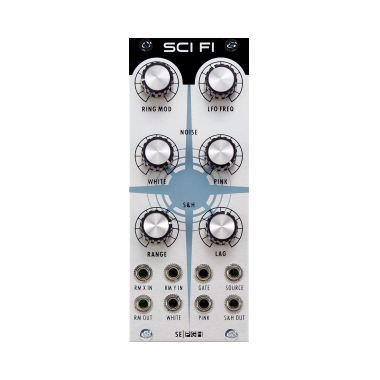 SCI FI is getting better all the time with its companion LFO FREQ (low frequency oscillator), true analog PINK, and digital WHITE noise, S & H—a true sample and hold generator, with RANGE control, and LAG generator—a slew limiter which craftily smooths out changes in audio or modulation signals: higher values = smoother signal flowing. This module is every bit as creamy sounding as it is electrically charged: the higher frequencies coat the sound with a sparkling quality one wouldn't naturally expect, but it is a welcome sound indeed.